For Daniel, Rose Marie and Guillaume, the welcome is essential and you can experience this during your next visit to Saint-Martin-d’Ardèche. 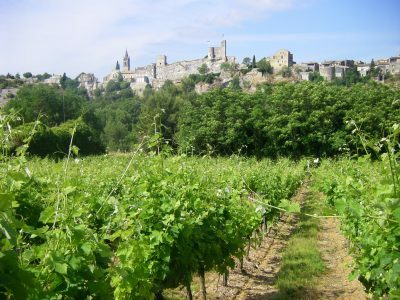 At the heart of the Rhone Valley, at the southern door to the Gorges of Ardèche, where the scrub gives way to the sunny hillsides of the Rhone is where the Croix Blanche Estate can be found. Coming from a long family tradition, the estate cultivates 29 hectares of vineyards grown via Organic Agriculture. Living the rhythm of vineyards, we have always worked in the spirit of preserving the environment in which we live by respecting the vineyard, the sun and the rhythm of the seasons. The organic certification was initiated in 2011, for white wine and 2013 for the entirety of the field but our philosophy has always been oriented towards sustainable agriculture. The vines are made up of traditional grape varieties of the region: Shiraz, Grenache, Mourvèdre, Cinsault, Merlot, Grenache blanc, Clairette, Viognier, Marsanne, Roussanne, allow us to produce a large range of wines in Côtes du Rhône Protection Designation of Origin (PDO/AOP), Côtes du Rhône Villages and Ardèche Protected Geographical Indication. By choice of our culture, we strive to maintain the balance of nature, in keeping with the vineyard and its fruit: working the soils, natural phytosanitary protection…. Bit by bit, the vineyards are visited, the grapes tasted throughout their maturation stage. So, all the land is harvested at optimum maturity. The grapes are then made into wine in accordance with the methods allowing them to express their greatest potential and preserving their original quality. Every action on the vineyard is adjusted closer to the function of the nature of soil, the life of the planet. It’s nature which governs each movement and not the other way around. Years of practice and observations have enriched an ancestral know-how. So, the size of the manual harvest of grapes for traditional wine making, we control and analyse each stage to obtain the best balance in the quality of our wines. Made into wine, matured and bottled on the property, our wines are the exclusive product of our organic vineyard. Since 2011, our son Guillaume has also joined the field, the whole family puts as much energy into the vineyard as the wine cellar to satisfy this passion for the vineyard and wine. 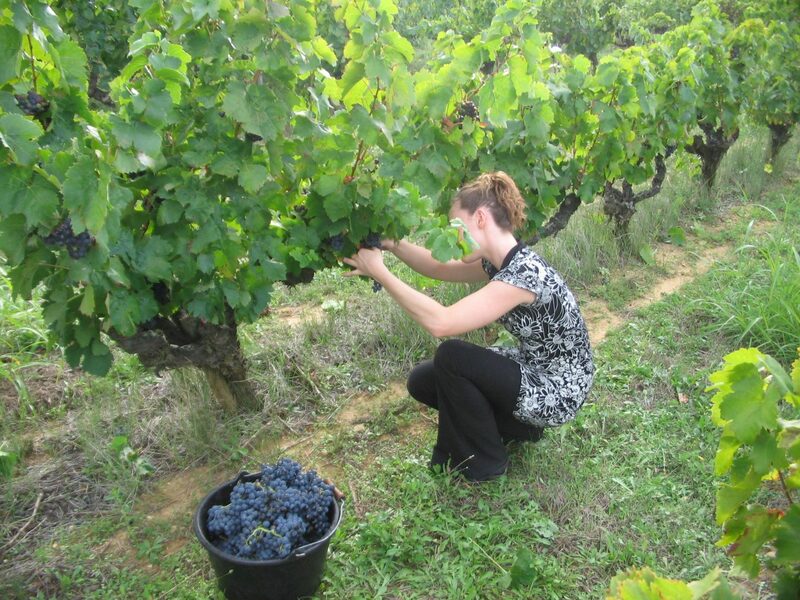 The aim is to create, for your pleasure, wines of character which keep all the authenticity of their land. In 1989, the estate, a family property, was taken over by Daniel following his parents’ retirement. On his arrival, thanks to his technical knowledge, he modernised it. Through the work of his elders, Daniel Archembault brought his passion to succeed in great wines. 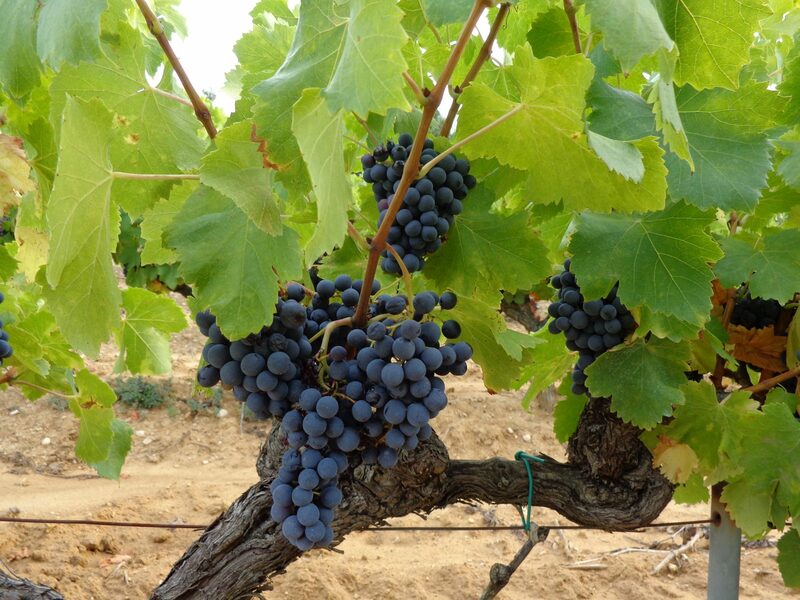 Between 1990 and now, the estate hasn’t stopped growing, going from a surface area of 7 hectares to 29 hectares. 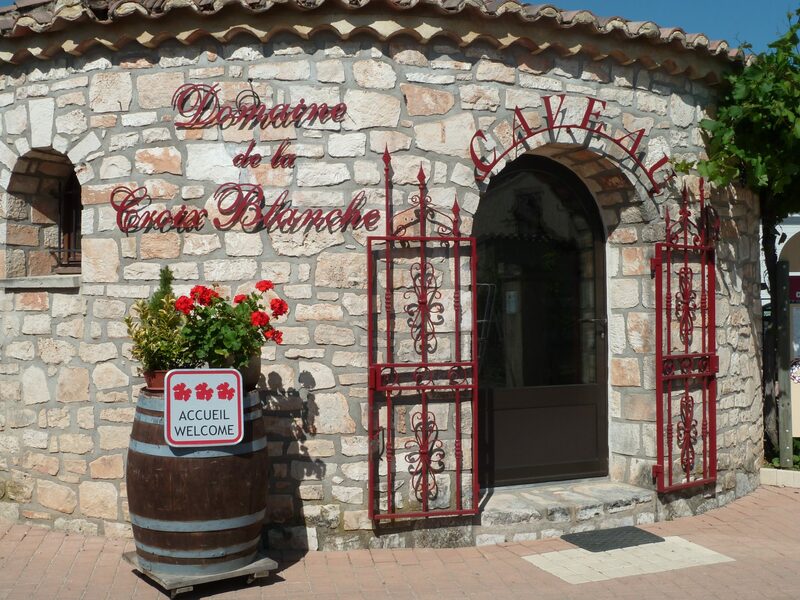 Constantly seeking to improve the quality of the wines, the wine cellar has been modernised. Daniel and his wife Rose Marie invest, plant, improve, experiment. 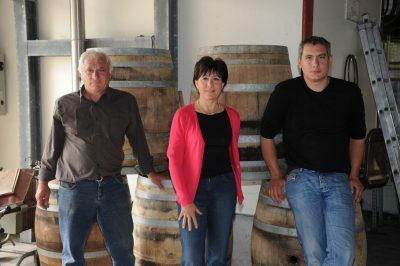 In charge of the business, they live the rhythm of the vineyard, an adventure where passion joins tradition. The work conducted at the wine cellar perfectly illustrates this constant search for the best wines. In 1990, maturing trials in oak barrels translates to a luxury wine vintage regularly cited on the guides. In 1995, the vats dating from 1870 were replaced by modern vats. 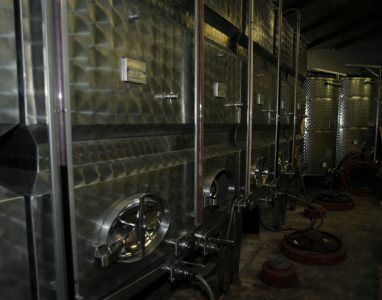 In 2005 the thermoregulation of the vats improved the work carried out on the wines in the wine cellar. 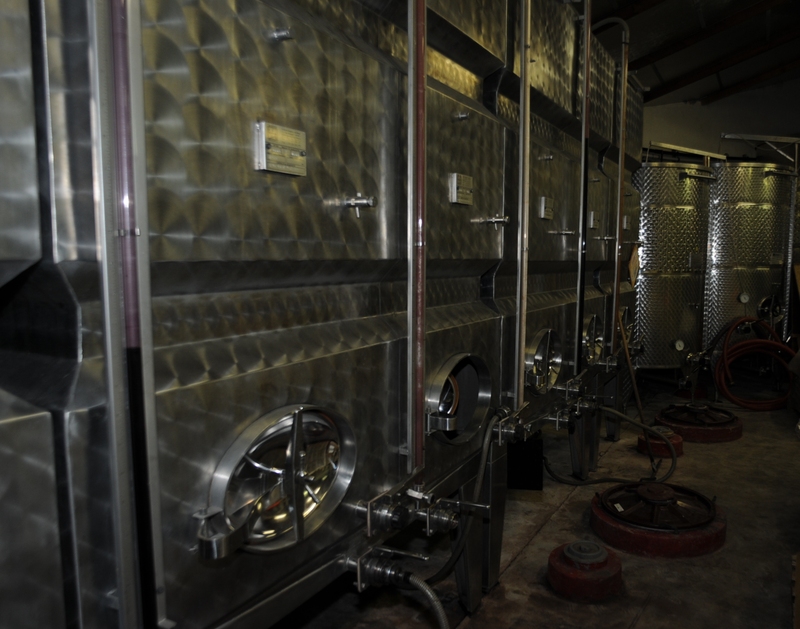 In 2008, the stainless steel vats were installed for the making of white and rosé wines. Also, each wine batch produced is the right combination of all the choices made from the vine to the wine cellar. In 2011, the estate moved from sustainable agriculture to organic culture by committing to the conversion to organic agriculture for white wines. Meanwhile, in the same year, their son, Guillaume, trained in viticulture joined the field in order to carry on the tradition and prepare himself to take the reins one day. In 2013 the entire estate was converted to organic. 3 years of conversion are needed to be able to qualify for organic farming. Therefore the 2016 harvest is the 1st to be completely organic labelled of the estate. In 2015 the construction of the completely air-conditioned “Marguerite Wine Cellar” allowed storage and maturating in optimal preservation conditions.